Interesting lineage but not ours. It appears that Edward's lineage goes back to Ireland without any connection to one of the three main Ferris lineages examined herein. I have been tracking another Ferris takeover of a Native American tribe. While I cannot link the first Ferris to our lineage, the lusty procreation and involvement with a woman not his wife does suggest he carries the same genes. Edward Ferris came to South Dakota in the early 1880s. Public records list multiple birth years and birthplaces. While I have a suspicion who he might be, there is not enough solid evidence to link him to any parents or Ferris lineage. He met and married on Julia Archambeau, who was half Yankton Sioux. Together, according to her available obituary, they had 12 children. 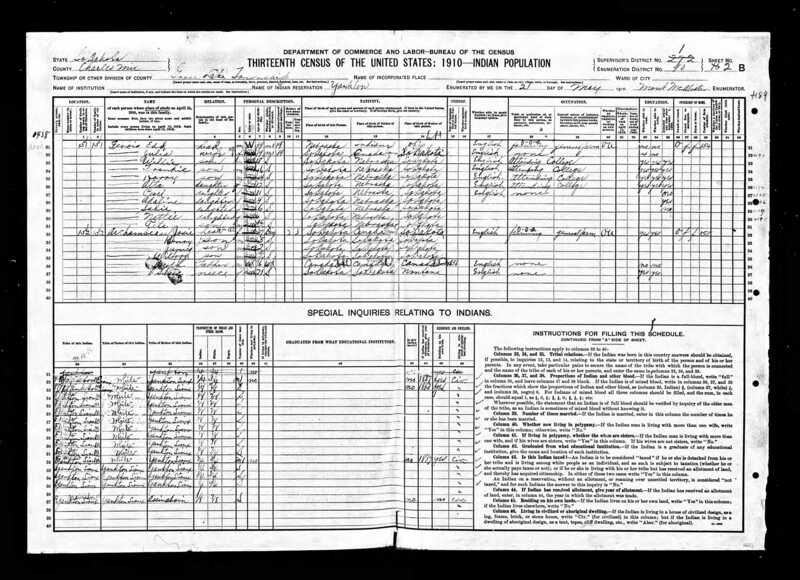 One census report, 1910, has Julia’s niece, Josephine, living next door with her three sons. The youngest was named Wilfred and in that first report carried the last name Archambeau. That would be the last time. All future records list him as Wilfred Ferris, through his mother’s two marriages. A curious change of surname. 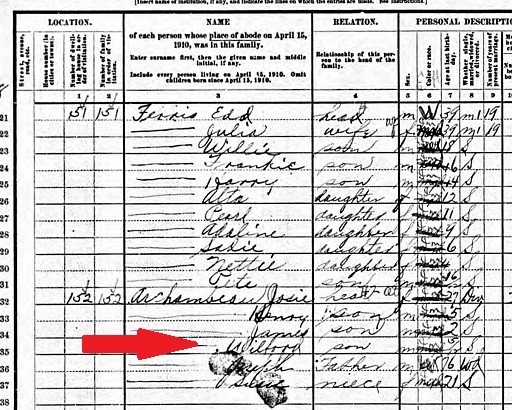 Was Edward Wilfred’s father or was the name change for some other reason? Wilfred moved to Wyoming, to the Wind River Reservation, and married a St. Clair, who was half Shoshone. Their lusty procreation produced many children, who also went on to… you get the idea. This accounts for the last name Ferris appearing among the Yankton Sioux and the Shoshone in numbers.